MondayCall Solutions and Salesforce.com hosted a customer event at the Tied House in Mountain View, CA. 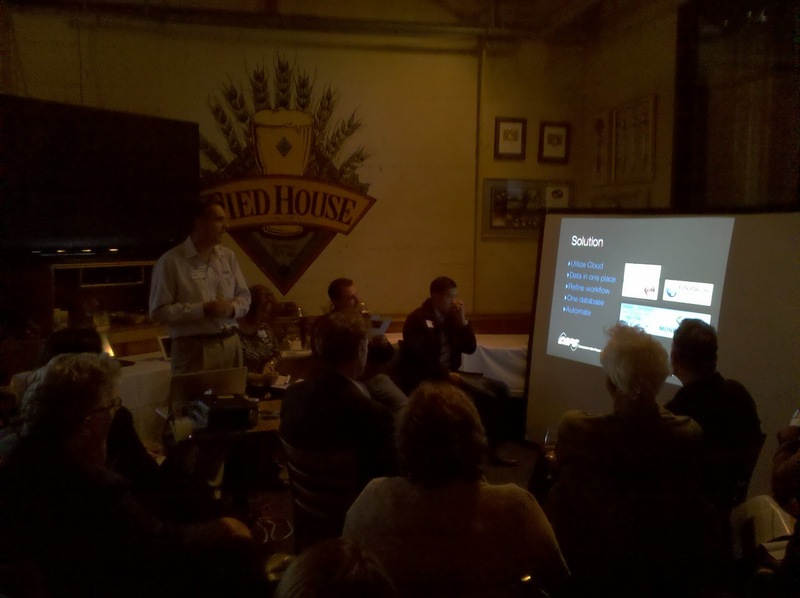 The main topic covered included how companies can go wall-to-wall using Salesforce.com. Using an integrated solution helps companies solve their sales and support operational issues more efficiently and more effectively. Erick Sturm of CAPS (Computer Air/Power Systems) was the guest speaker extraordinaire. CAPS was moving from a paper-based sales process to one that was highly automated. MondayCall and Erick worked together to create a solution that reduced creation of quotes from hours to 20 minutes. In addition, CAPS can now get up to the minute forecasting data rather than wait for month end spreadsheets to be consolidated. As part of this solution, CAPS used/created Salesforce.com integrations with with FinancialForce.com and Conga for quoting. It was a great event and a great chance for customers to interact with MondayCall, Salesforce.com and most importantly each other.